Christmas in the Heart — Merry Monday #65! Edited: FOUR posts today … please scroll down to view my projects for The Shabby Tea Room, Paper Sweeties sneak peeks Day #2 and The Kraft Journal! Hello to all my crafty friends! Today I have some special news to share … my stampy friend, Lesley Croghan, invited me to be the Featured Designer for the month of June at her Merry Monday Challenge Blog … and, of course, I was completely honored and said ‘yes’!! Lesley is just one of the sweetest girls I know so this will be so much fun for me to work with her!! Here is the sketch we are asked to create with this week! 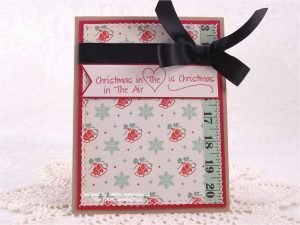 And here is my interpretation created using the Christmas in the Heart stamp set from Paper Sweeties! I love these patterned papers from October Afternoon — swoon!! I hope you’ll have time this week to work ahead on some holiday cards — play along with the Merry Monday challenge for your chance to win!! Thankful 4 U … TKJ #124! Paper Sweeties June *new* stamps RELEASE PARTY! Beautiful card. Love the sentiment and the papers. Congrats on being June Featured Designer at Merry Monday. This is such a sweet holiday card, Debbie. 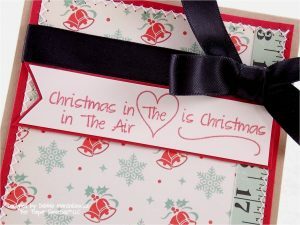 Love the papers and the way you tied the ribbon! Thank you for being our Featured Designer at Merry Monday! SO happy to have you! This is sure a beauty that you’ve created! I would have never thought to use that black ribbon, but wow, it really pops and makes the overall card! Beautiful!! Welcome to the Merry Monday team, Debbie! Love this paper and the sweet sentiment! So happy you’re going to be with us this month, Debbie! 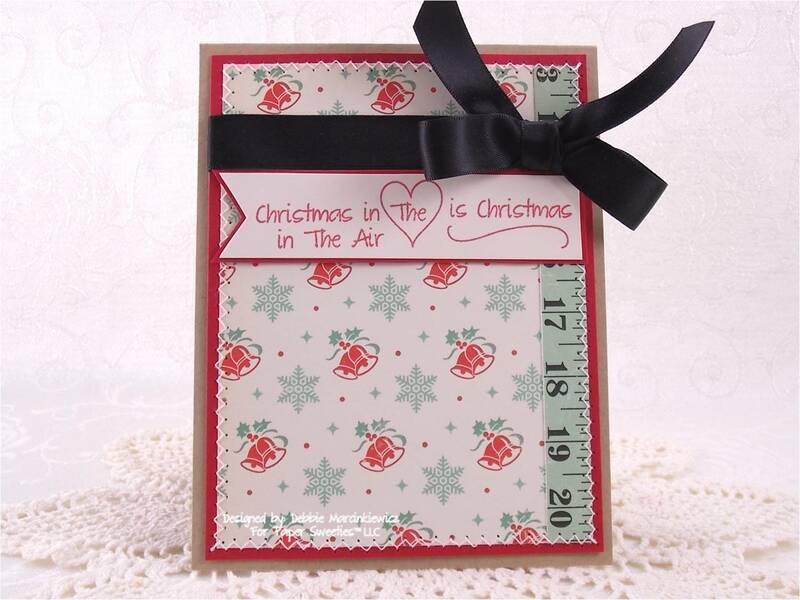 Your pretty papers and lovely sentiment make for a sweet Christmas card! Just beautiful! 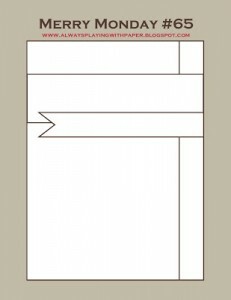 I love those sweet papers and your sentiment is just perfect! I’m so glad you’ll be joining us this month at MM! Great card, love the colors! So glad you have joined us at Merry Monday! Love that red and aqua color combo! Fabulous sketch! Thanks for playing along with this week’s There She Goes Challenge!